In 2009, Dambisa Moyo, an international economist published a book tittled Dead Aid Proposal, which she considered a blue print for Africa’s development. The content of the proposal included that AID encourages corruption and conflict; and that the lenient terms of soft AID loans, as against bonds is bad for Africa. The proposal also declared that Africa does not need multi party democracy, but “decisive benevolent dictators”, adding that “any improvement in Africa’s economic profile have been largely achieved in spite of democracy, not because of it”. The Proposal also indicated that AID engenders laziness on the part of policy makers and Africa should source capital to execute her development projects through the international bond market. These among others are what the Dead Aid Proposal, proposed. The Proposal’s argument that Africa should draw money through the international Bond market and not through AID is seriously floored. Both are not good for Africa. Moyo’s bond alternative is clearly a poisonous panacea that must be avoided by African countries like plague. The international money market, infested with money sharks cannot be the escape route for Africa. Moyo most disastrously assumed that because drawings through the bond market carry higher interest rate and for shorter periods, African leaders would be repentant and disciplined in dealing with such funds. This psycho economic premise will not, and has not worked for Africa. A brief content analysis of African leaders shows that those who are determined to steal their countries’ resources would always do no matter the interest rate of the borrowed funds. In essence, Moyo’s argument for a benevolent African dictator is laughable. This recommendation is both regressive, unhelpful and without evidence. It is simply an illusion. If any African country’s development was good under any dictator, it would have been better without the dictator. Most African leaders are ruthless and do not care. Even the Mo award for good governance failed to find a single African leader worthy of the Award in both 2009 and 2010. “It sounds like the destruction of Sodom and Gomorra. If only one good leader could be found! None. None was found. Furthermore, most AID, to Africa, come with very harsh conditionality and are never as soft as Moyo indicated. However and compared to Bonds, AID represents a chance for African countries to restructure and invest in productive and technology based infrastructure at minimal financial cost and commitment. Dead Aid Proposal, represents a cross between macro-economics that is not relevant to Africa, and psycho-economics that does not fit into realities. It is presently difficult to decipher the position of Dead Aid Proposal, regarding the BOND type borrowing induced, catastrophes in Greece, Portugal, Italy, Ireland and Spain. These countries including USA, and UK, borrowed through the bond market and are all in serious mess at the moment. Most of these countries are currently running to and fro EU, IMF, and World Bank searching for help. In essence they need AID type rescues to survive. According to Jim Rogers, “the biggest burble waiting to burst is the international bond market”. Dead Aid Proposal, actually proposes and creates a different form of cycle of dependency. More BOND credibility equals more money, equals more credibility, equals more money. This surely represents another cycle of dependency; something that the proposal sought to diminish in Africa. So, what is the difference between foreign Aid and Dead Aid Proposal? In my recent work, I argued that the difference “can be found on which one stretches the African most, physically, mentally, and psychologically. It is to be found on which erodes the African psyche, prestige, image, ego, posture, independence and stability more than the other. Both are negative and are capable of eroding the African of his freedom, pride and spirit. Both involve asymmetrically struck deals. Both are engraved with connotations and inclinations towards external dependence and exploitation. Both employ attitudes aimed at exploiting the impotence of Africa that hinders her from producing and managing her own wealth properly. Furthermore, while Bond market may be food for western actors, it is also a financial minefield that is embedded with patches of insider trading and toxic deals. This obviously is not what African countries,” who are definitely not insider actors, would wilfully and proactively want to engage”. 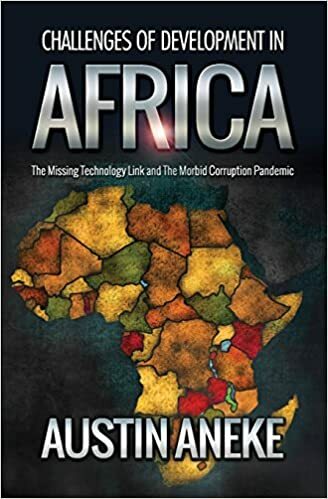 African countries should commence investing in technology and minimising corruption in order to start challenging other continents.